Most resorts on the island have festive room packages and their own classy countdown events. 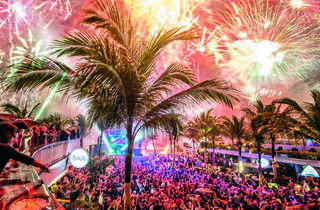 If you’re one of the cool kids hoping to get both beach and beats, legendary institutions like Ku De Ta and Potato Head Beach Club in Seminyak are located right by the water, providing a gorgeous backdrop for the endless parties. Another popular place to ring in 2015 is Puputan Badung Square, which features carnival activities, performances and fireworks. If those are too mainstream or crowded for you, however, head to Karma Beach Bali, located at the ‘hidden’ stretch of sand at the bottom tip of South Kuta, for something slightly more casual. Get there AirAsia (www.airasia. com) flies direct to Bali from $360 return. Admire the stunning fireworks display along the Chao Phraya River at the Asiatique Festival Countdown, where popular Thai artists take the stage to welcome 2015. Or end the year with a bang at the CentralWorld Square celebrations, where the sights and sounds will be cranked up to 11. If battling crowds isn’t your thing, hit up rooftop bars like Vertigo photo www.weinersphoto.com and Moon Bar at Banyan Tree Hotel, Cloud 47, or Three Sixty at Millennium Hilton Bangkok for a glitzy affair with panoramic views. For a quieter celebration, set sail on the Chao Phraya Cruise, a luxury five-star experience that offers live performances, delectable delicacies and a gorgeous view. Other cruise options include the White Orchid River Cruise, Chao Phraya Princess Cruise and Grand Pearl Cruise. Get there AirAsia flies direct to Bangkok from $265 return. Look forward to the annual street party at Makati City – which starts from the corner of Peninsula Manila Hotel – where you’ll find enchanting performances, lively concerts, hawkers and fireworks. Some of the shopping districts, like Eastwood Mall and SM Mall of Asia, will also host New Year’s Eve parties; and you can always count on the Edsa Shangri-La Hotel, Discovery Suites and Dusit Thani Manila for killer shindigs. 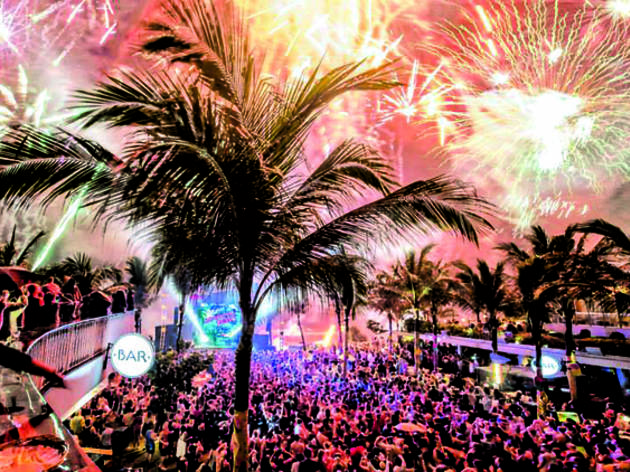 Otherwise, hit up top-notch nightclubs like Palladium, Prive Luxury Club and Opus for a night of revelry. Get there Malaysia Airlines (www. malaysiaairlines.com) flies direct to Manila from $480 return.